Under the "customize" tab I don't see any way to add a style. 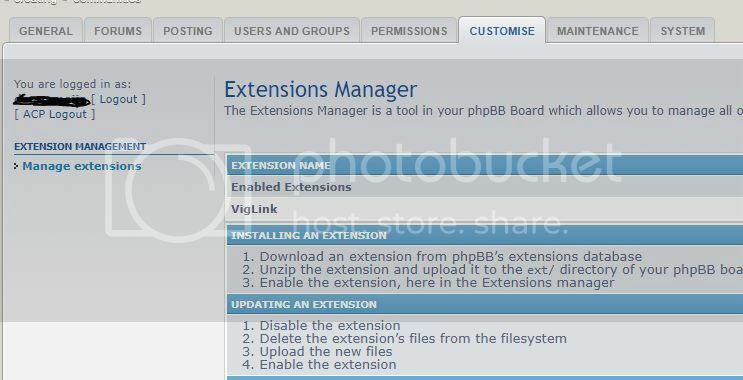 I guess I am confused as to how extensions work. I am an admin for the page, and I have ftp access to a forum I am working on, I found and extracted the style I wanted from this site, and placed it in my styles folder, but I don't see a way to activate it. Last edited by HiFiKabin on Wed Jul 18, 2018 10:52 am, edited 1 time in total. You appear to have sections missing from the Customise section. You are an "admin", not the founder? Do you have permissions to add a new style? I am not the founder. Is this something that the original creator needs to give me access to do? What actions did you take (updating your board; installing a MOD, style or extension; etc.) prior to this problem becoming noticeable? The customize tab never had a style or install styles action. Please describe your problem. Via FTP I added a 3.2.2 style called flat-style. I added to both the Styles folder and the extensions folder, and when I refresh the site I don't see a way to update them. Then thinking that the style was incorrect I then installed one called Clean-Boardz with no avail. If your account don't have founders permissions, he has to give your account that permissions. This may also be a problem, admin problems being one of many issues with host installs. Host one-clicks installers don’t use our software and, as such, we don’t fully support such installs. You would be well advised to re-install your board using the files from here before your board gets too large. Thank you both. I was given founder access and found out that I can update styles now.